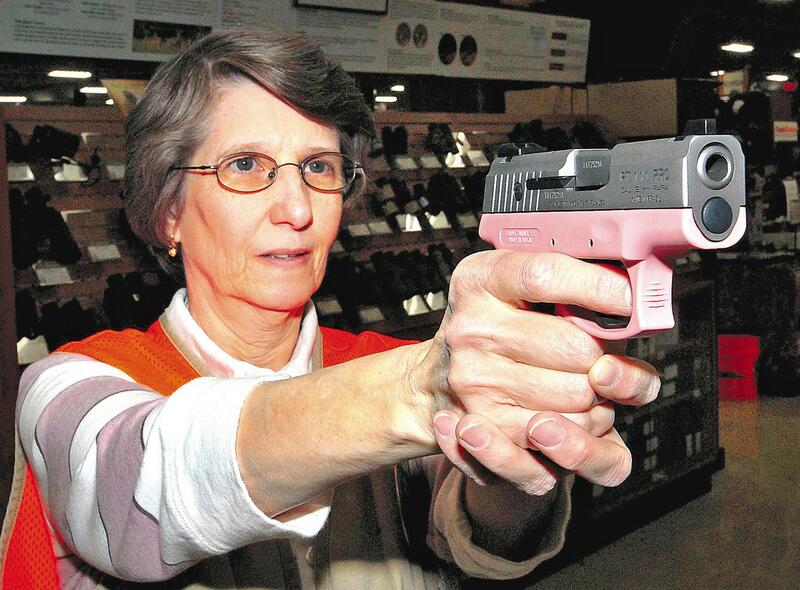 Should wives, daughters and sisters be armed? YES! 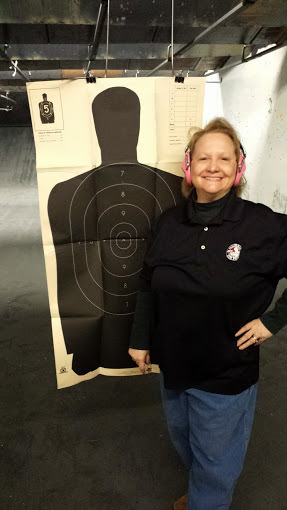 Ask any NRA instructor and you will learn that women are typically better shots than men, when both start off in a beginner’s class together. 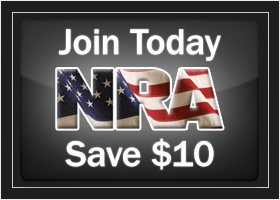 So if you are looking at an NRA Basic Pistol course with 5 men and 5 women who have never shot before, bet on the women to do better at the range at the end of the class! This is chiefly because women don’t come into the class with the “macho” attitude that we men have: that we ‘should’ know how to handle a gun because we are men. Women generally have fewer pre-conceived notions and listen more and develop their skills more quickly. The worst thing that we men do to our sisters, wives and daughters is disempower them with the stereotypes of women as victims. In the movies, it doesn’t matter how slowly the monster walks, he always overtakes the weeping, terrified woman who keeps falling down as she tries to run to safety! A woman who can confidently carry a firearm can stop running, turn around and shoot the monster! But even if there are no monsters, the woman who can handle a gun carries with her more confidence in her ability to protect herself. About the most dangerous situation I can imagine a woman being in is walking out to her car in a dark parking lot where a van with a sliding door is parked next to her driver’s side door. Now in this particular situation, you wouldn’t want to walk out alone, lest you be grabbed and pulled into the van and kidnapped. However, the woman who has trained with a gun has likely also developed her situational awareness so that she would know what to do. The best thing we can do to empower the women in our lives is to give them the gift of safety that comes with firearms training. With Ohio now recognizing the Illinois License to Carry (effective in March, 2015), Illinois residents can now carry in 23 other states! The graphic below shows all the states that will allow you to carry with your Illinois license, except that Ohio is not yet indicated, as the effective date is still a month off. Remember that you must abide by the laws of the state in which you are carrying, NOT the state that you come from. Go to www.HandgunLaw.us and click on each state you travel to in order to download a complete pdf with all the pertinent laws. Gun In Your Car in Illinois WITHOUT a Carry License? What is Legal? As long as you have a FOID* card, you can have your gun in your car, in the passenger compartment, with the ammunition at the ready. This shocks a lot of people, since there are a lot of misconceptions about the law. There are three legal ways to transport your gun in your car. Unloaded and enclosed in a container. Let’s look at the how these three are defined. Remember that only ONE of the three conditions has to be met for it to be legal. “BROKEN DOWN IN A NON-FUNCTIONING STATE” is pretty easy for a semi-auto. Remove the slide. For a revolver, this is more difficult. “UNLOADED AND ENCLOSED IN A CONTAINER” is now more well defined than it was in the past. The Illinois Supreme Court Diggins decision made it clear that a vehicle’s center console or a glove box, as long as it is closed (LATCHED, but locked is not necessary) is legal, as long as the gun is unloaded. Put a magazine in the gun, even if you don’t chamber a round, and you are looking at a felony. The easiest thing to do is get an Illinois License to Carry, then it can be on or about your person and loaded! *FOID cards are not required for non-residents. Watch this video of a US Marshall and his accidental (negligent) discharge. Then read what I have to say about preventing this from ever happening! You want to use a holster that allows you to take your gun off and on WITHOUT unholstering! This is the most dangerous part of carrying concealed – drawing and reholstering! I recommend an IWB holster with one clip — not two clips — so that you can easily remove it and replace it with the gun still in the holster. If the gun never leaves the holster, you can’t accidentally pull the trigger! 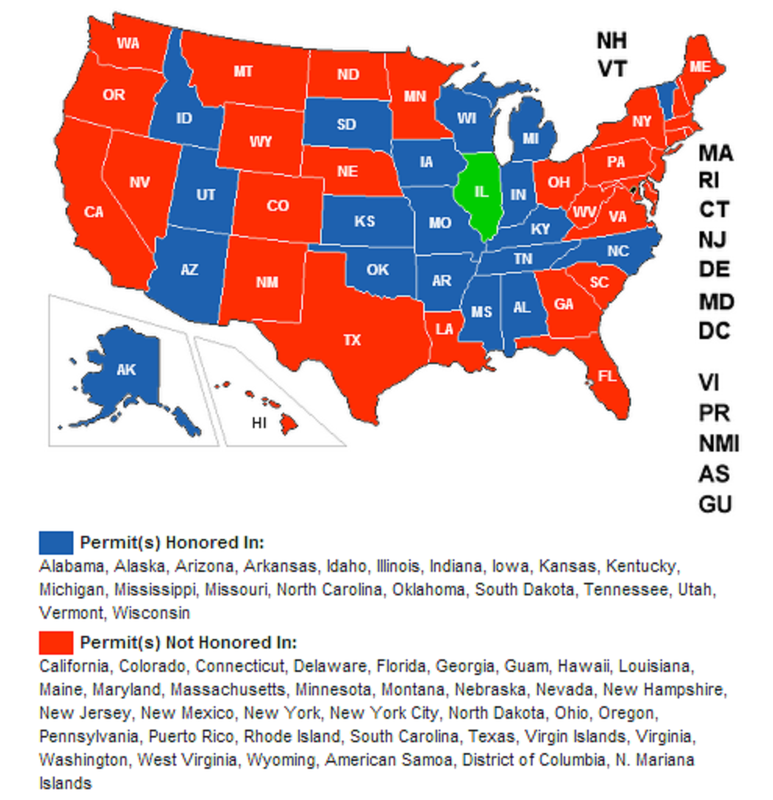 What if you are carrying in your car and you drive into the parking lot of a “prohibited area?” The Illinois Concealed Carry License creates a “Safe Harbor” for your car, you have heard…. But… Are you legal only if you stay in your car? Can you put the gun in your trunk instead of leaving it in the passenger compartment? 1) As long as you stay in your car, you are perfectly within the law, EXCEPT if you are in the parking lot of a federal facility or a Nuclear Plant. * Federal facilities include any federal building or military installation. The Illinois License to Carry “Safe Harbor” does NOT protect you on “federal property” where you are NOT allowed even to have a gun in your car. 2) Other than federal / military property, you can always stay in your car, or leave your gun in your car and be legal. 3) If you leave the gun in your car, it must be out of sight, in a “container” (which includes the glove box or center console) and if the car isn’t locked, then the container must be locked. 4) Some “Prohibited Areas” do not extend to the parking area. For instance, you cannot carry in a state / municipal court building, but the parking lot is okay. The same applies for a “local government” building (think county / city / township / village… anything that is not State or Federal). 5) In any of these Prohibited Areas that extend to the Parking Area (except federal / military), you may go directly to your trunk to store your gun as long as it is first unloaded. There is a lot to know about the Illinois Concealed Carry Law, but once you understand it, it is not that complicated. Another State to Recognize the Illinois License to Carry! Alabama, Alaska, Arizona, Arkansas, Idaho, Illinois, Indiana, Iowa, Kansas, Kentucky, Michigan, Mississippi, Missouri, Montana, Nebraska, Nevada, North Carolina, Oklahoma, South Dakota, Tennessee, Utah, Vermont, Wisconsin. Alabama, Alaska, Arizona, Arkansas, Delaware, Georgia, Idaho, Illinois, Indiana, Iowa, Kansas, Kentucky, Louisiana, Michigan, Minnesota, Mississippi, Missouri, Montana, Nebraska, Nevada, North Carolina, North Dakota, Ohio, Oklahoma, South Dakota, Tennessee, Texas, Utah, Vermont, Virginia, Washington, West Virginia, Wisconsin, Wyoming. What about the other states? To name a few: Colorado has open carry, South Carolina requires you to be a resident or property owner, California is a crazy state and a recent court ruling striking down “shall issue” needs to be understood. Pennsylvania is gun-friendly, so you can visit and get a permit in one day. What caliber is best? Revolver or Semi-Automatic? Full sized gun or subcompact? How do you decide what carry gun is best for you? In my opinion there are two primary concerns when choosing a carry gun. That’s not to say that there are only two choices or considerations, but I believe that there are two facets that should drive your decision. First of all, the gun must be easily concealable and comfortable. Most people who are licensed to carry and who no longer carry daily stopped carrying because it was inconvenient. They had made the decision to carry a gun based on the caliber and perceived stopping power and, as a result, chose a gun that was too heavy and / or jabbed them in the side. It was uncomfortable and by the end of the day it felt like they were carrying around a brick, so they started to neglect carrying. Before they knew it, they were rarely even carrying. The moral of the story is that the “undersized” gun that you really do carry every day is infinitely superior to the large, impressive gun that you end up not carrying. Second, the gun must be one that you are absolutely proficient with, with the emphasis on absolutely. If you have a gun that you are really good with, have been shooting for years and love, but then you go out and buy a smaller carry pistol, you are at a great disadvantage. The day that you may have to draw your carry weapon and use it, it will be absolutely necessary that you can accurately point-shoot, clear jams and even do a magazine change without thinking or looking. That takes practice. Don’t have time for practice? Then just realize that if the gun jams and you can’t instantly and instinctively deal with it in an instant, you just have a concealed-paperweight that you can perhaps throw at the person threatening your life. Practice. Then pactice some more. Then practice more after that. Know someone who needs to get their Illinois License to Carry? Click here for class information. 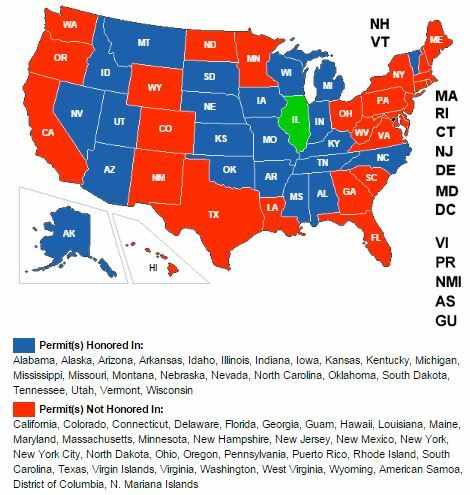 The Illinois License to Carry is now recognized by 22 other states*. But the most important thing to know is what the laws are in each state where you may travel, as you have to comply with that state’s laws, and not Illinois’ law. The last thing you want to do is get into trouble and try pleading ignorance to a law enforcement officer or a judge. Let’s start with what NOT to do. Before traveling through another state, do NOT call the state police there and trust whatever you are told over the phone! That is a recipe for disaster, because you have no idea who you are talking to and their level of knowledge and professionalism. 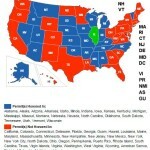 The best two resources to know the laws in all fifty states are http://Handgunlaw.us and http://USACarry.com. 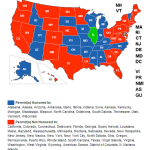 While USACarry.com has a great map to quickly show where your Illinois license (and any other non-resident permits) are honored, Handgunlaw.us provides you with a printable pdf of all the laws of each state. First, look for “preemption” — meaning that the state law preempts local laws. Preemption is what you want! Otherwise, you will need to know the laws of the various counties and municipalities where you travel. 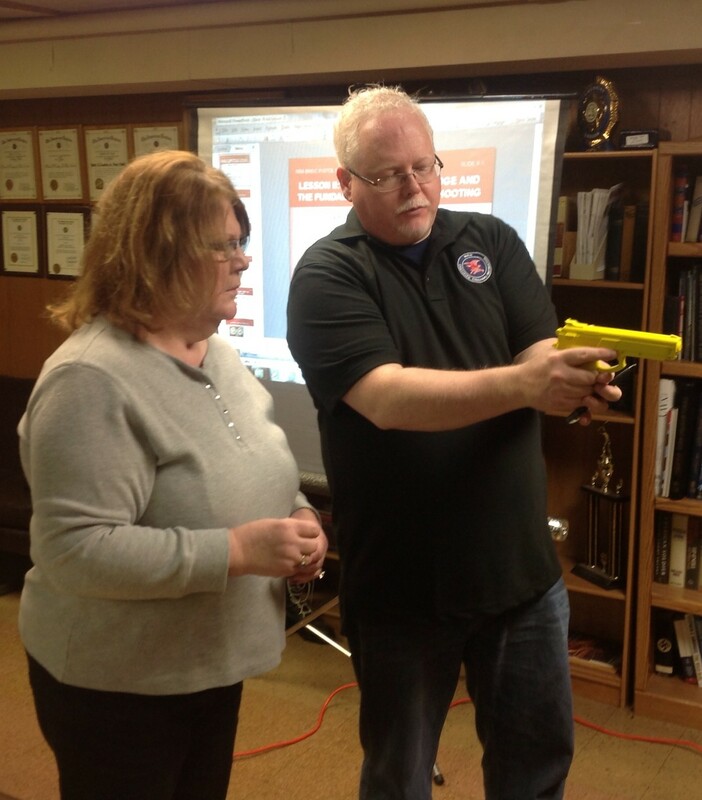 Want to know when classes are offered to get your Illinois License to Carry (or tell a friend)? Click HERE. With the state of Wisconsin recognizing the Illinois License to Carry, we now have 19 other states in which we can legally carry concealed. However, remember that when you are carrying in another state, you must abide by THEIR laws — go to http://HandgunLaw.us for the best information on each and every state you want to carry in. This is big news, as so many Illinois residents visit Wisconsin, especially on weekends. This is one reason that the Utah non-resident CCW permit has been so popular; it is recognized in Wisconsin. The other very popular non-resident permit is the Florida CCW, but that is NOT recognized in Wisconsin. This morning the NRA Lobbyist for Illinois, Todd Vandermyde, was in a Task Force meeting with government officials devising a plan to combine the FOID card and the License to Carry into one card. This Task Force was created by the Firearms Concealed Carry Act and includes representatives from the State Police, the Senate, House, State Police, etc., and the NRA. As a result of discussions this morning, Todd believes that the first licenses should be sent out next week (week of 24 Feb) or the following week. Todd isn’t one to engage in wishful thinking – and he got this information firsthand. Most of us instructors have experienced a bit of a lull in the number of people inquiring about classes. The first big rush of “early adopters” seems to be through (about 50,000 statewide) and once people see the licenses are actually being issued, we expect the next big wave. Stay tuned – you’ll see a photo of me with my license as soon as I get it. I applied the first day, in the first hour (I am “Applicant #87) and will be watching my mailbox.